Your Mazda has been a reliable vehicle for many years. Or your new Mazda is showing all the traits of a Mazda’s reliable and imaginative designs. Manufacturers have placed your vehicle at the forefront of the automotive industry’s top performers. Let’s keep it there, as one of the best foreign models on the market. Maintaining a quality auto is not rocket science, nor does it happen all by itself. Mazda owners in Tacoma, WA need to know where they can go to keep their vehicle in good working condition. As your Mazda takes you all around the city, state, and country, is accumulates needs that should be addressed. Some people may think where is not important, but nothing could be farther from the truth. Vehicle maintenance should be handled by make-specific specialists. No one else knows your Mazda like a specialist does, and any services that we provide are designed to improve your vehicle for the foreseeable future. Coopers Auto Repair Specialists take you into the next decade with confidence that your Mazda will be safely on the road. The imaginative and innovative designs of all Mazda models need technicians that have stayed abreast of all changes. The technology that’s supported all Mazdas will also need mechanics that are educated in all these developments. Trust us to treat your Mazda with a careful attention to detail, and a trained eye. The same “wow factor” that compelled you to purchase a Mazda is the same wow factor that our Mazda services hope to restore. The specialized repairs and maintenance that we provide your Mazda will, literally, pay off down the road. We know what your Mazda needs to maintain its excellent performance. Coopers Auto Repair Specialists in Tacoma, WA can develop a comprehensive maintenance schedule that suits your Mazda perfectly. Timely and consistent oil changes should be created with your vehicle and your driving habits in mind. If you plan on putting a lot of city miles on odometer, or you have an older model, you may require different oil and filter change needs. We’ll get to know you and your expectations for your Mazda, and then we use our skills to analyze the best way to achieve those goals. 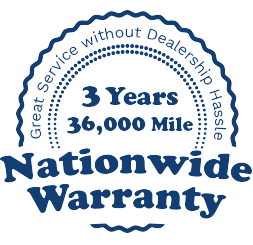 Our tune ups can reveal any number of problems with your vehicle. A thorough inspection could reveal that a timing belt replacement is due before it’s too late. Any minor or major engine repairs for your Mazda should be brought to us. Stop by one of our two locations in Tacoma today, so we can discuss how we can get and keep your Mazda operating at its best!